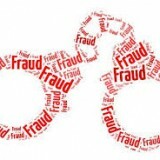 Home » Bad Faith » ICBC punished for fraud allegation. On March 1, 2016, the BC Supreme Court ordered ICBC to pay $350,000 in punitive damages for malicious prosecution after alleging that the plaintiff acted fraudulently following a pedestrian collision. In Arsenovski v. Bodin, 2016 BCSC 359, the plaintiff was walking with her husband when he was struck by a vehicle. The plaintiff was not struck by the vehicle but did fall down and suffer some modest injuries during the incident and she reported this to ICBC. Specifically she told ICBC that “the last thing I remember was stepping off the curb to cross the street. I don’t know how far we had walked on the street. The next thing I remember was being on the pavement“. ICBC’s Special Investigations Unit asked that the Crown Counsel prosecute the plaintiff for fraud as she was not struck by the vehicle. Charges for making a false statement to ICBC were approved. But the statement was not false and the charges were stayed on the first day of the criminal trial. Given ICBC’s role as motor vehicle insurer for a majority of drivers in British Columbia, there is a need to ensure deterrence of behaviour of this sort on its part. It cannot be said that an award of punitive damages will cause it financial hardship. An award that is too small could be seen as simply the cost of doing business. ICBC stood to gain an advantage from its conduct. There is no doubt that conduct of the kind that occurred in this case could dissuade people who have proper claims from vigorously pursuing them against ICBC, and could even dissuade lawyers from acting on a controversial claim for fear that ICBC will disparage them and cause trouble for them or their clients in the future. A strong message of denunciation must be sent to ICBC. While the community would find it reasonable for ICBC to fight fraud, I am confident that the residents of British Columbia would find it outrageous for a public corporation to use its resources maliciously. The conduct that occurred here must be condemned and punished to reflect the community’s censure and to ensure that the message is brought home to the corporation and its employees not to engage in this kind of misconduct again. The residents of British Columbia are entitled to expect professional, objective treatment by the employees of ICBC, as well as an appropriate degree of cultural sensitivity towards people who are recent migrants from other countries.